Lucky to get a seat. Even luckier, I managed to get a table too! 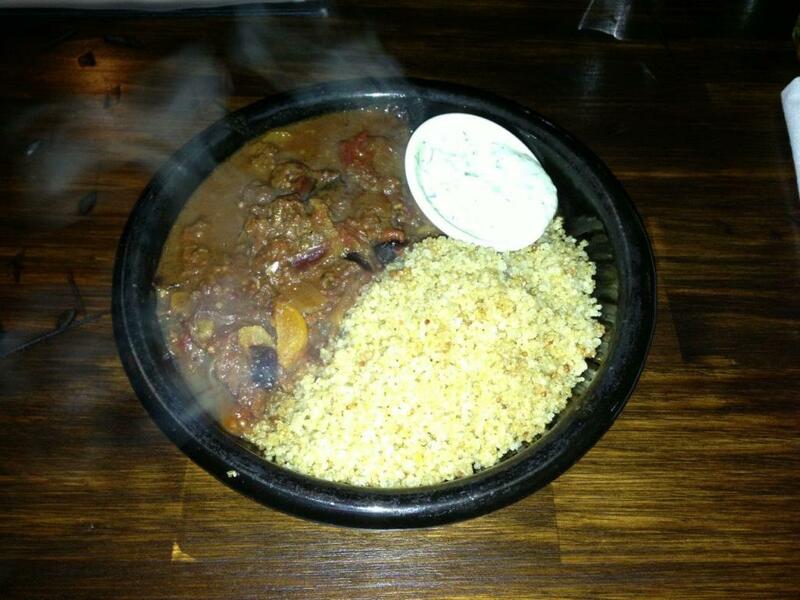 Moroccan style slow cooked goat with aromatic spices & dried fruits served with herb quinoa pilaf & minted yoghurt. Whew. Remembered to ask for no evil coriander at the last moment. The goat in this dish just tasted like beef. It had no real defining flavour other than just being generic meat. The couscous was fairly plain, and slightly on the hard side. The sauce that the goat was in just had a slightly fruity taste, but beyond that, was just a brown stew of vegetables. That was certainly chocolatey. 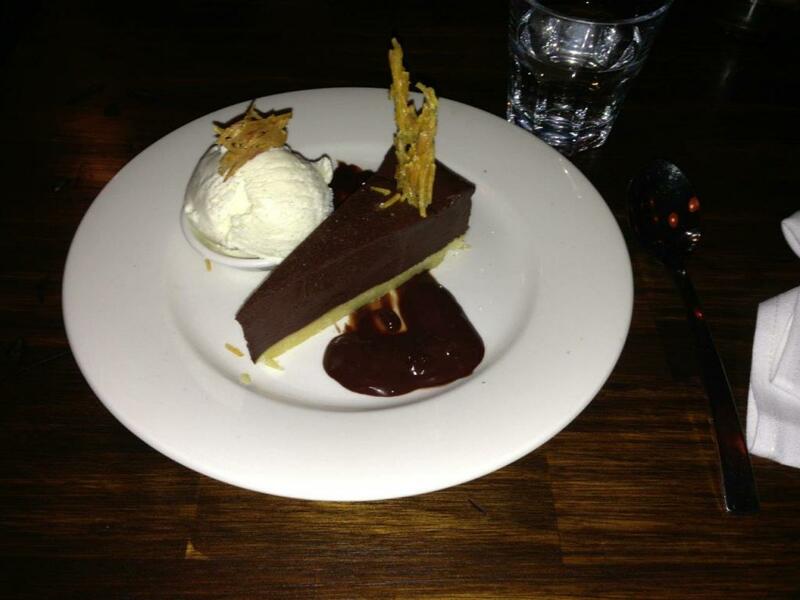 It was like eating a big piece of chocolate, only softer. Things like this are often sickeningly rich, but I managed to get through it. The candied orange (peel) was very hard, and not sweet enough.